Don’t Free the Pete Rose One! Full disclosure: In another life, the hardworking staff did seven years in Ohio. Specifically, we were in Cincinnati from 1967 to 1974, and the one thing that kept us sane was this miniature Brooklyn Bridge across the Ohio River to Kentucky. It’s known as the Singing Bridge because of the hum you hear as you drive across its metal grid roadbed. 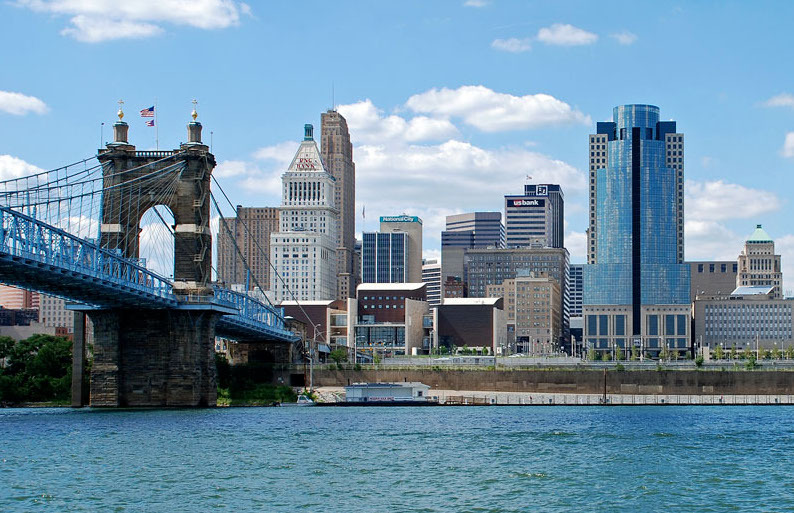 More important, it was John Roebling’s starter bridge before he (and his son and – especially – his daughter-in-law) built its lookalike in Brooklyn in the waning years of the 19th century. The Brooklyn Bridge was, at its opening in 1883, the tallest structure in the Western hemisphere and the longest span in the world: 1,600 feet from tower to tower. Rudely transplanted to the Queen City from 89th and 3rd, we spent roughly two years sitting on the banks of the Ohio River and staring at the Singing Bridge. 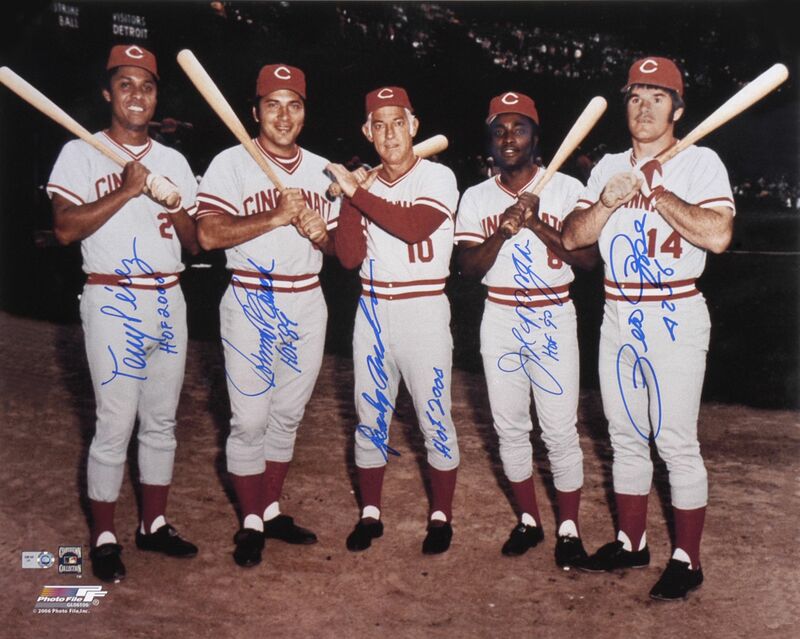 The absolute worst thing about living in Cincy back then was The Big Red Machine, the insufferable Cincinnati Reds of the 1970s. Baseball in the 1970s was dominated by Cincinnati teams known as the “Big Red Machine,” which had left behind Crosley Field, with its distinctive left field terrace, for a new home, Riverfront Stadium. Boasting a regular lineup that featured three future Hall of Famers (catcher Johnny Bench, second baseman Joe Morgan, and first baseman Tony Pérez) as well as all-time major league hits leader Pete Rose, the Big Red Machine —under the guidance of manager Sparky Anderson—won five division titles in the first seven years of the decade. The Machine’s first two trips to the World Series ended in disappointment, however, as it lost to Robinson’s Orioles in 1970 and the Oakland Athletics in 1972, which was followed by a surprising loss to the underdog New York Mets in the 1973 NL Championship Series. The years of frustration ended in 1975, when the Reds won a remarkable 108 games and beat the Boston Red Sox for the franchise’s first World Series title in 35 years. While the 1976 Reds won six fewer games than their 1975 counterparts, they led major league baseball in all the major offensive statistical categories and swept both teams they faced in the postseason en route to a second consecutive championship, leading a number of baseball historians to claim that they were the second greatest team ever, after the famed 1927 Yankees. Which, of course, is a bunch of baloney because the second greatest team ever, after the famed 1927 Yankees, is the famed 1961 Yankees. The point is, the Cincinnati Reds player most hateful of all to this Made Yankee Fan was the reptilian Pete Rose, who was rightfully banned from the Baseball Hall of Fame for betting on baseball games. As I wrote recently, it’d be a pure act of charity for Major League Baseball to even listen to his case because, really, it doesn’t have to. Indeed, we’re to a point in time where “the merits” aren’t as likely as big an issue with Major League Baseball as the fact that, at some point, Rose is just too damn old to be a nuisance anymore and the league can afford to show some mercy if it wants to. This entry was posted in Uncategorized and tagged 1927 Yankees, 1961 Yankees, Big Red Machine, Brooklyn Bridge, Bud Selig, Cincinnati, Craig Calcaterra, David McCullough, Hardball Talk, Herodotus of Hydraulics, history.com, John Roebling, Jon Heyman, Made Yankee Fan, NBCSports, P.T. Barnum, Pete Rose, Rob Manfred, Singing Bridge, The Great Bridge. Bookmark the permalink. 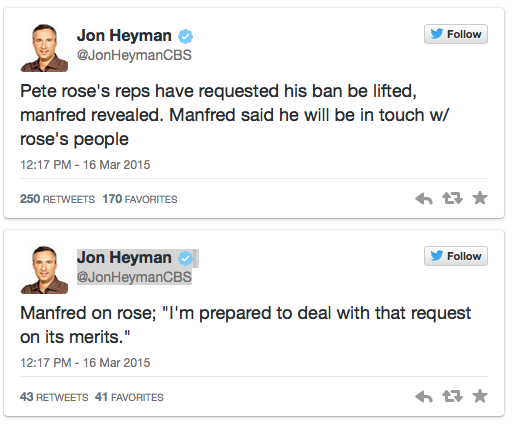 8 Responses to Don’t Free the Pete Rose One! And we’ve never gotten to talking about performance enhancing drugs. Not sure Pete can ever get clean. With you on this one, Mudge. Hey – that’s what makes horseraces, Dan. Yes, Rose bet on baseball games while serving as manager of the Reds. But there is no evidence that his playing career was tainted, HIs accomplishments on the field are HOF worthy. Indeed, some might credibly argue that he was the greatest Red ever — certainly among the top ten. So I’m willing to meet you halfway. monetary gain for Rose from anything endorsed or licensed by MLB. You commit baseball’s cardinal sin, you pay the price. But I would make an exception for Hall of Fame eligibility. Rose’s record merits his inclusion, and there are lots of other scoundrels in the Hall to keep him company. A very reasonable position to take, Dan, and one many people share. Sorry I’m not one of them, but that doesn’t mean I’m right.